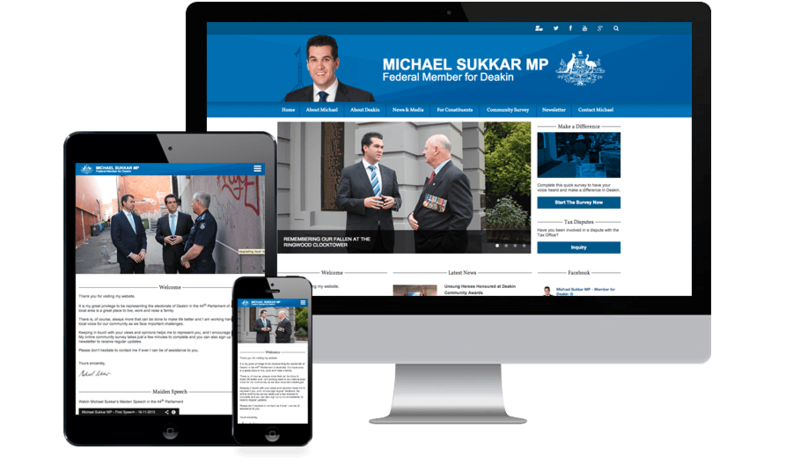 Michael Sukkar needed a fast-turnaround new responsive website that incorporated his social media feeds and enabled him to manage his own content. He turned to Digital Thing for help. 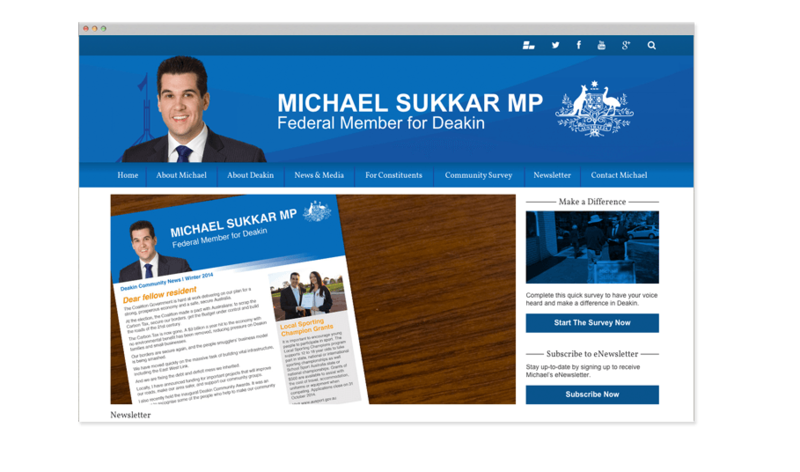 In response, Digital Thing built a responsive WordPress website utilising the latest HTML5 and CSS3 coding. 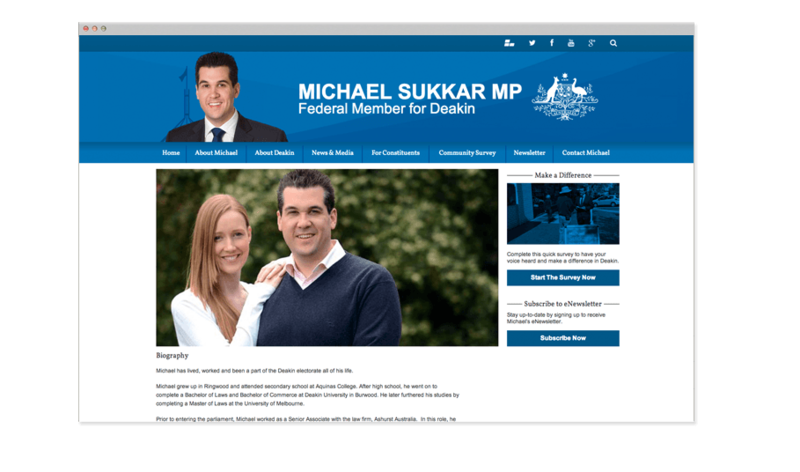 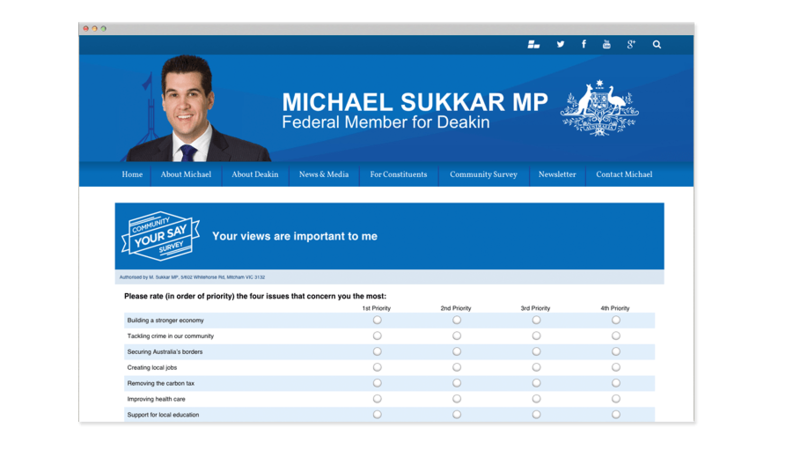 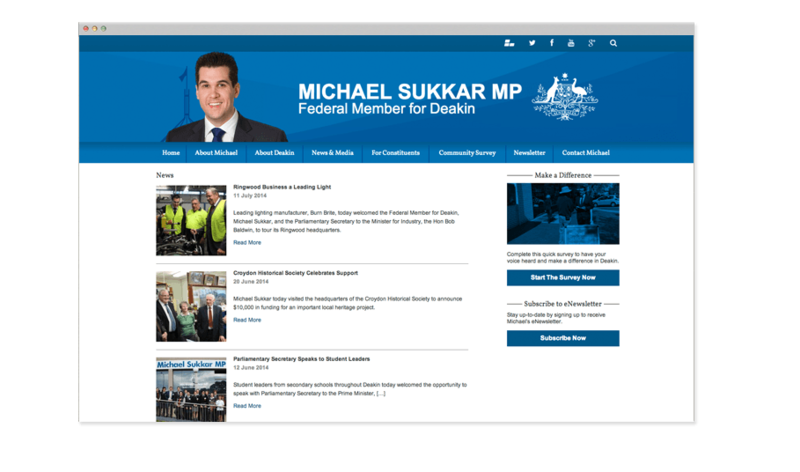 The website design was refreshed, incorporating the blue branding used by Australia’s Liberal Party. 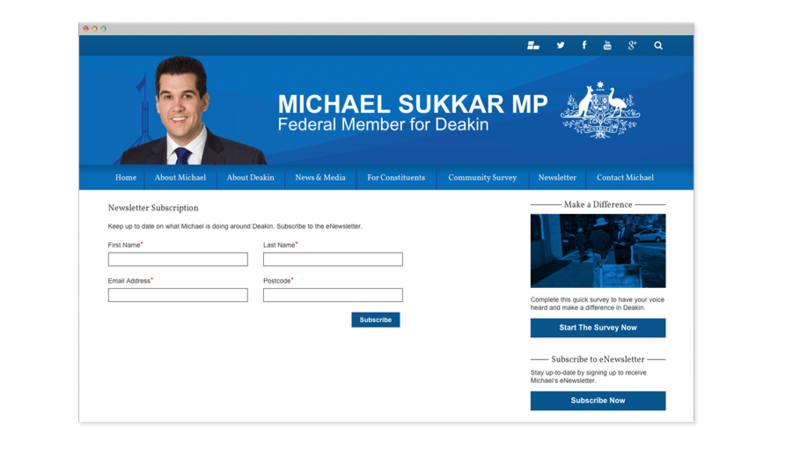 Digital Thing designed new dynamic email templates, then integrated seamlessly third party email management software into the website to allow Michael Sukkar’s team to send out consistent, brand emails quickly.